Thor Ragnarok new poster has released by Marvel Cinematic Universe. This is the next biggest film of the company after Logan, Guardians Of Galaxy and Spiderman: Homecoming. In this fresh new poster of the Thor Ragnarok, the lead hero’s favourite longer golden hair will no longer in this film. Though, the new Thor looks with the same energy equally but with new weapon on his hand. 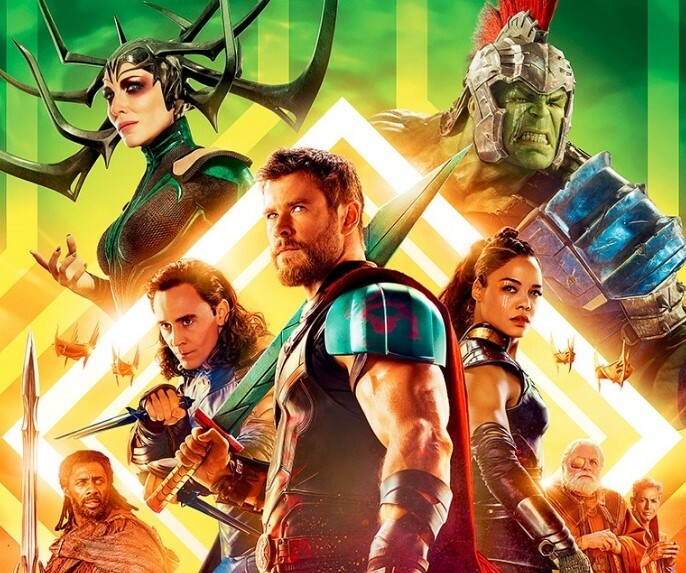 The Thor Ragnarok featuring Chris Hemsworth, Tom Hiddleston, Cate Blanchett, Idris Elba, Jeff Goldblum, Tessa Thompson, Karl Urban and Mark Ruffalo. Dr. Strange (Benedict Cumberbatch) and Thor will meet again in this film. Thor’s favorite and iconic hammer got destroyed and he got sword this time. In this new poster, Hulk is also there. In the website of www.fandango.com, it mentioned that the run time of Thor Ragnarok 2 hr 10 min and it comes under Action, Adventure with Sci-Fi, Fantasy genre. The Thor: Ragnorok will hit all the theaters around the world on November 3.